No matter what industry you’re in, everyone faces the same fundamental challenge when it comes to their business. Some have more of a struggle in this area than others, but everyone still faces it. That challenge is the process of promoting your business. Every business, no matter what it’s selling or offering, no matter how big or small, has to expend a certain amount of effort to get the word out about their business and to explain why they’re the best at what they do. Of course, there are traditional methods of promotion. Advertising campaigns involving commercials, posters, billboards and the like are probably the most popular way of getting the word out. But there’s another way that is often overlooked by businesses, and this method has the potential to be far more effective: using brand ambassadors. A brand ambassador is someone who has tried — and loved — your products or services. They love what you have to offer so much that they’re willing to spread the news about your company and your products, and promote brand awareness for you. A brand ambassador isn’t someone you pay to endorse you. Rather, it’s just a happy customer who was so satisfied with their experience they’re willing to let you call on them repeatedly to say amazing things about you. Brand ambassadors are perfect for business for obvious reasons. Someone who truly appreciates what you have to offer is going to be able to say things with more conviction and authenticity than someone who’s only being paid to do so. These honest narratives help cut through all the noise and clutter of competing companies’ advertisements. Potential audiences will be able to feel the sincerity, and these kinds of promotions will ring truer than other varieties. There’s a simple explanation for why our reactions in these two scenarios are so different: We trust other people. We have a rapport with people we know, and we believe they’ll tell us the truth. After all, there’s no benefit to them in promoting a product they don’t believe in. The idea here is that even though we don’t know these people personally, they look and sound like us. They seem like people we can trust. If their stories are genuine and their enthusiasm is not faked for the camera, this shines through clearly. It resonates with us as an audience and convinces us that this product is worth checking out. Get in touch with us to talk more about putting a photo booth at your next big event. Ninety-two percent of people trust brand recommendations from individuals — even from people, they don’t know personally — over recommendations from the brands themselves, according to Enterpreneur.com. And people share and repost brand messages 24 times more frequently when they were initially posted by an individual such as an employee of the company, than by the company itself. The message here seems pretty clear. When it comes to corporate brand awareness, people trust what they hear from individuals, rather than from faceless corporations. Why Do You Need Brand Awareness? Everyone needs brand awareness. Your product might be the best, most original item of its kind on the market. But if people don’t know about it, it isn’t going to be a success. Recognition of a brand name is often the only thing that causes a customer to buy one product over another. If your product is sitting next to a much better-known product, people will gravitate toward the name brand even if yours is superior. Clearly, you and your company must get the word out about your product. You can spend a ton of money to try to compete with the enormous marketing campaigns of your competitors. That will certainly produce results, but they will arguably not be the best results, and you may well bankrupt yourself in the process. Rather, you’re better off spending your time, money and energy in trying to cultivate brand ambassadors. If you’re just starting out, this may be difficult. You may not have an extremely deep pool of satisfied customers to draw from just yet. That’s alright, and there’s no need to worry. If you’re in this situation, now might be the perfect time to think about asking people to try your product for free in exchange for their honest opinion about it. If you’re confident in your product, this can be an extremely efficient way to build an audience and a pool of people who like your product and will tell their friends about it. Obviously, there’s a cost to handing out free products and services. But it’s a wholesale cost, and it’s one you can afford. The benefits of creating happy, loyal customers who will not only return for more, but who will also be willing to share their opinions and experiences with others, far outweighs the cost of giving away items for free. You’ll be creating corporate brand awareness. Even with the cost of giving away products for free, you’ll still be spending far less than the companies who choose only traditional marketing routes. Cultivating this kind of ground-up, grassroots publicity is one of the best things you can do to build your brand. You’ll be creating a group of people who trust you and your products and will recommend you to their friends. From here, your reputation will only grow. Every company experiences growth differently, but regardless of how quickly your reputation builds, you’ll steadily become a brand people recognize, trust and respect. And you’ll do it all without breaking the budget. Millennials now make up the largest generation. That makes them a huge demographic to market toward, since they’ll most likely be a significant portion of your customers. 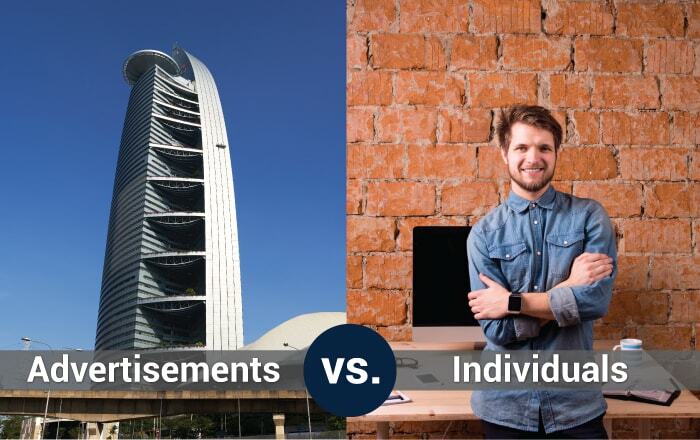 Unfortunately, millennials seem to represent a bit of a puzzle for marketers and corporations in general. Many traditional marketing strategies just don’t seem to work with millennials the way they’ve worked with previous generations. While the dates are not absolute, the millennial generation generally refers to people born between 1980 and 1995. That means millennials today are anywhere from their early 20s to their mid-30s. Millennials tend to be plugged into the Internet, and very aware of what’s happening on social media. They have a distrust of corporations and big businesses, and instead place value on things like authenticity, individuality, openness and originality. If you’ve previously relied on only traditional marketing campaigns, you’re going to have to switch things up if you want to appeal to millennials. But if you’re convinced of the value of brand ambassadors and are ready to give that a try, there’s good news. Using brand ambassadors is exactly the kind of marketing strategy that works well with this demographic. Because millennials have always been surrounded and saturated with media, one of their defining characteristics is how choosy they are about their media. They’re bombarded with tons of advertisements and commercials every day. That means they’ve become thoroughly desensitized to them and highly skeptical of their honesty. Millennials can spot a fake advertisement a mile away. They don’t want to see ads that make lofty, hyperbolic or exaggerated statements. They can see right through this tactic, and it only results in them feeling manipulated and not valued as an intelligent consumer. Instead, they’d much rather see an ad that has a few simple, factual statements about what the product does, without having to sort through the fluff and the advertising gimmicks. Millennials also value individuality and a personal touch. They’re much more likely to respond to a personal anecdote, where they can sense the authenticity, than they are to a script. Millennials are much more likely to skip the ads and the company’s official marketing altogether, and just browse customer reviews to get a sense of the “real story.” Because of this, if you spend time cultivating happy, loyal customers, you’ll be much more likely to attract millennial customers. Ultimately, what sets millennials apart is the value they place on individuals and individuals’ experience. This means they care about what past customers have to say. They also care deeply about how they’re being treated by companies. If they feel your public presentation looks down on customers as unintelligent wallets instead of as people, they will walk away without a second thought and find a different company. Marketing to millennials isn’t particularly difficult or complicated if you understand these ideas. It just requires respect for the customer and a commitment to authenticity. And ideally, these are things companies already should value. Now that we’ve got an understanding of the basics, let’s look at some ways you can develop brand awareness and gain some raving fans who will be willing to serve as brand ambassadors for you and your company, attracting legions of new customers, particularly millennials. There are few ways more simple and effective at creating brand loyalty than just offering good customer service. People want to feel appreciated, valued and respected. They want to feel like their problems and questions matter to you. They want to believe their opinions and suggestions will actually be taken into consideration. This authenticity can come across in multiple ways. It can be about how quickly you respond to customer complaints and inquiries. It’s about the manner and tone of voice used when dealing customers in person. And it’s also about the way your company takes responsibility for mistakes and missteps. People are storytellers at heart. They connect with stories they can empathize with. They’re much more likely to get behind a brand that has an authentic, heartfelt story behind it than they are to support a giant corporation that has no face or personality. We’re not suggesting you make up a story. But we are suggesting you use whatever story you do have. Did you start your business in your mom’s basement as a teenager? Did you overcome incredible opposition to start your business? Did you start your company as the result of some dramatic catalyst in your life? Whatever story you’ve got, use it. Not only will this story make you more memorable, but it will also help customers develop positive feelings toward your business. They like to support businesses that make them feel good. And they’ll also be more likely to share your story. This is an easy one. Just sell an excellent product, or offer a great service. If you do something extremely well, this is a huge step toward getting people talking and bringing customers back a second time. Providing a quality product speaks much louder than any scripted advertisement ever could. If you’re good at what you do, people will be excited, and they’ll want to talk about you. So be the best you can be. People will notice. There’s a fine line between staying connected to your customers and making yourself obnoxious. I’m sure we all can name a few companies or services that do nothing but clog up our inboxes with countless emails we never bother to read because we know they’re pointless filler. Certainly, this is something to avoid. However, there is something to be said for remaining in the front of your customers’ minds. You don’t want them to go so long without hearing from you that they forget about you. So don’t be afraid to send out updates, newsletters and promotional offers. Just don’t overdo it. And make an effort to personalize these messages as much as possible. Make them sound like you’re writing to trusted friends and valued customers. Another important aspect of this outreach is social media. Be active on your social media pages. Always be available to answer questions and respond to inquiries. And imbue these pages and the updates you post there with a sense of personality and humanity. Make people feel like they’re talking to a person, not a robot. This gives people something they can connect to. This ties in nicely with the previous point and is also a great way to keep your customers and audience in the loop. A blog isn’t something you necessarily have to post on every day, although you will want to make your posts fairly consistent, so your audience doesn’t think you’ve forgotten about the blog. Use this as a platform to inform your customers about significant shifts and changes in your business. Have you recently launched a new product, or supported a charity event? Has your business been mentioned by a major news source? All these things are worth a blog post. The advantage of this type of content is that it helps you to remain in the forefront of people’s minds. More importantly, though, it helps your audience connect with you. It makes them feel like they’re giving their business to other people just like themselves, whose goals they believe in and whose visions they’re willing to help support. Ultimately, it’s this aspect of appearing as human as possible that will draw customers to your side. One great way to attract customers and build brand awareness might be to host an event or throw a party. Give out free food and host fun activities. Your guests will have a fantastic time, and they'll leave with a little extra knowledge of your brand. One of these activities might be a themed photo booth. Set one of these up at your event and watch as your customers enjoy posing in front of the camera. You can even get a themed, custom brand photo booth where the photos advertise your company logo. Not only are people going to remember your event, they’re going to take something home with them, show their friends or post to social media. It puts your brand in front of an entire audience you may not have reached any other way. You turned your event attendee into a raving fan or a brand ambassador that’s promoting for you. As you advertise yourself on your website, your social media accounts and in other places, it’s important to maintain a recognizable look. This way, people can recognize your company when they see it. This applies to simple things, like using the same image for your profile picture on all of your social media accounts. But it also applies to other aspects of your branding. Keep things consistent. Even if they aren’t identical, strive to use similar color palettes and designs. For example, if you decide to go with a very minimalist design, stick with that across all platforms. After all, we don’t want our new raving fans to confuse your business for someone else! Being personable is really what all of these points have been driving at. Even though traditional advertising may have been about creating a professional, polished image, trends are shifting. As we discussed earlier in how to market to millennials, this newer, more personable direction is the way marketing is heading. The best way to appeal to this changing market is to seem more like a human being and less like a faceless business. Be personable. Interact with your customers online and in person. Be professional, but don’t be afraid to show a more personal side, as well. Share your story. Connect with people. People are more likely to pay money to companies they can connect with. So let your personality and your company’s personality shine. You can create your very own brand ambassadors by offering an excellent product, complementing it with exemplary customer service and adding a personal, friendly touch to all your doings. These strategies will help draw customers, particularly millennials, to your side. Are you struggling with corporate branding ideas? Try using Pixilated to create a unique and fun way to make people remember your brand. Pixilated offers custom photo booth solutions for your events and is willing to work with you to help you get exactly what you need for your event. Get in touch with us to talk more about putting a photo booth at your next big event.